Beach season often means bare feet for littlies, but without the protection of sandals or trainers the result can be splinters, sunburned feet, blisters and grazed toes—not to mention a fungal infection. So before your kids rush out to play with nothing on their precious feet, make sure they know the potential dangers that could cause them some serious foot pain. “Going bare foot means kids need to navigate their way across griddle-hot pavements, avoid sharp stones, stray glass and objects they could stub their toes on,” says Dr Brenden. 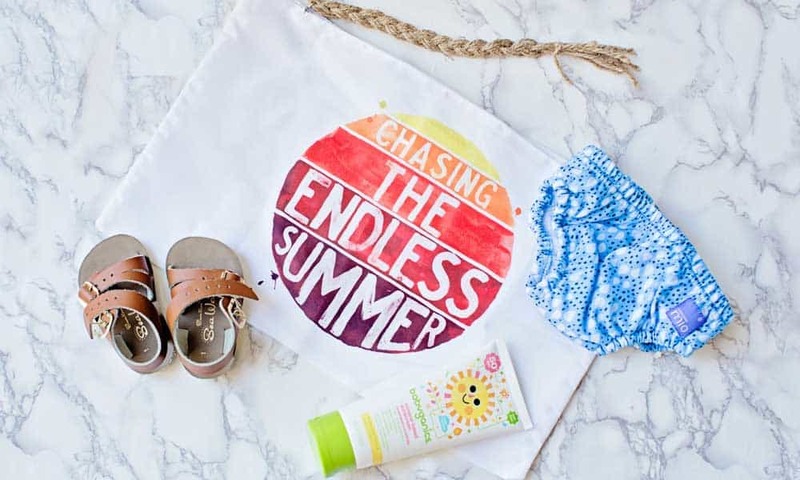 Thongs are commonly the go-to shoes for summers down under, but while they have their place (by the poolside, in public showers and at the beach), they’re not ideal for the health of our feet. Blisters are commonplace in summer, due to the hot, humid weather. Thongs, in particular, can cause blisters between the toes and across the tops of the feet where the plastic strap rubs the skin. Likewise, trainers can also cause blisters at the back of the heel and between the toes. To protect your child from blisters, ensure they wear clean socks with their trainers and apply foot balm or Vaseline to culprit areas to help stop the chaffing. If a blister does develop, don’t pop it. Use a special blister plaster as this protects the blister and helps to remove some of the pressure. Splinters can be really painful and uncomfortable for children, especially if they’re on the soles of the foot. If you’re lucky and the splinter is sticking out far enough you might be able to pull it out wit tweezers. If not, soak the foot in warm water for a few minutes until the skin softens. Use sterilized tweezers to grasp the object at the site where it emerges from the skin and pull it out. If using tweezers fails, take a sterilized needle and carefully slit the skin above the splinter. Then use the tweezers to remove the object from the foot. Wash the area with warm, soapy water, dry thoroughly and apply some antiseptic to safeguard against infection. Protecting against cuts and grazes is one thing, but keeping any existing foot injuries covered to avoid infection is essential too. If you’re sick of Band-Aids falling off, try a silicone gel. There are a number of areas of the body that are prone to sunburn—simply because these are the spots we all tend to forget to apply sunscreen to. One such area is the top of the feet. So when applying sunscreen, don’t stop at your kid’s ankles, make sure you spread sunscreen over their feet and toes too. Teaching kids the importance of optimal foot care will not only help to protect their feet during summer, it will help promote a lifetime of foot health. 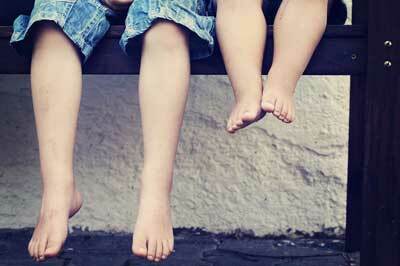 Encourage kids to wear lightweight summer shoes to prevent splinters, grazes and stubbed toes. When should I bring my child to see a podiatrist? Do you need to get your kids’ feet checked out? 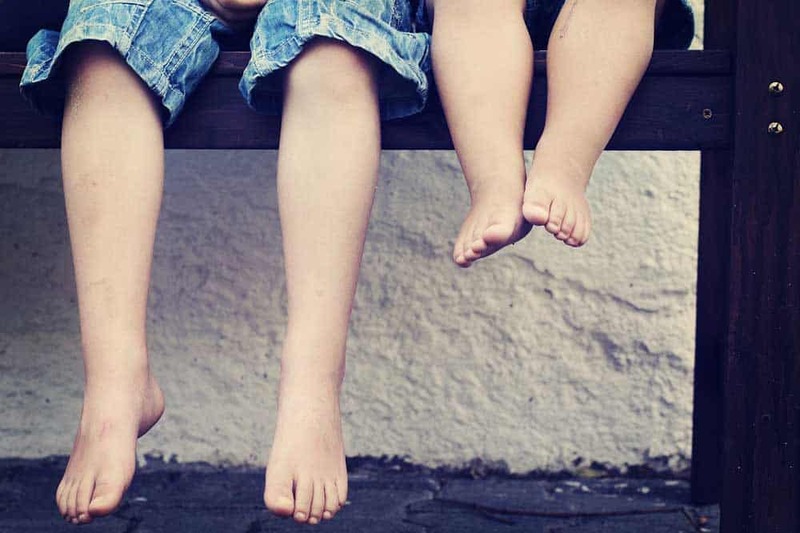 Are your child’s feet healthy?